Dominion plans to bring cleaner air to the Peninsula by closing two coal units at Yorktown Power Station. It’s the best choice to comply with federal environmental laws and cut carbon and other emissions by hundreds of thousands of tons each year. 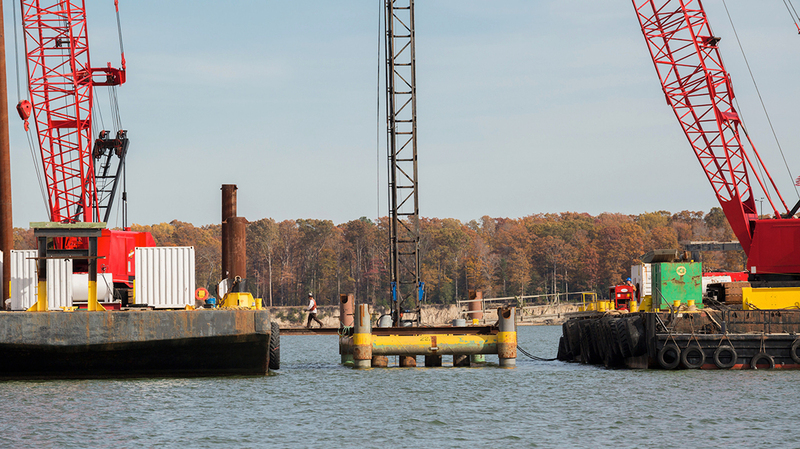 To keep the lights on, we’re turning to cleaner energy from new solar and natural gas sources, and the carbon-free Surry Nuclear Power Station across the James River. 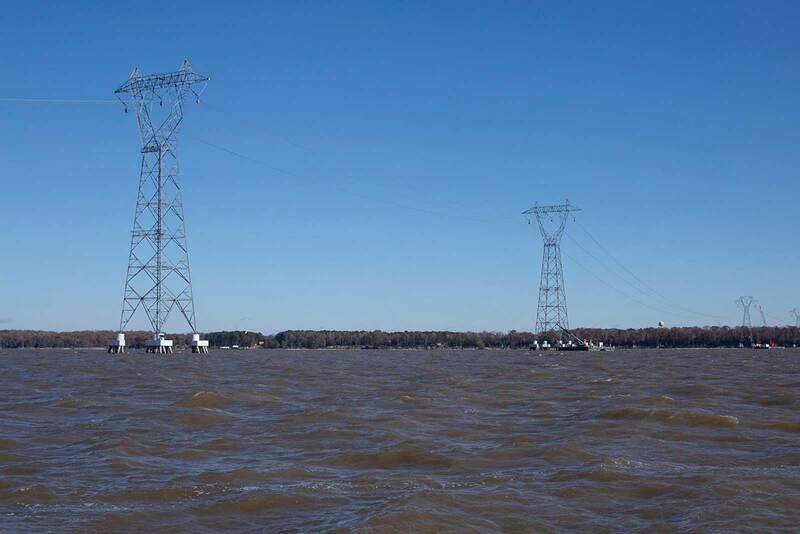 The towers are out of sight of Historic Jamestowne, Colonial Williamsburg and the Yorktown Battlefield. Even from the eastern end of Jamestown Island, the line will be more than three miles away, putting it far on the horizon. The crossing is at the same spot of the river where you can see amusement park rides, a sewage treatment plant and Surry Power Station. 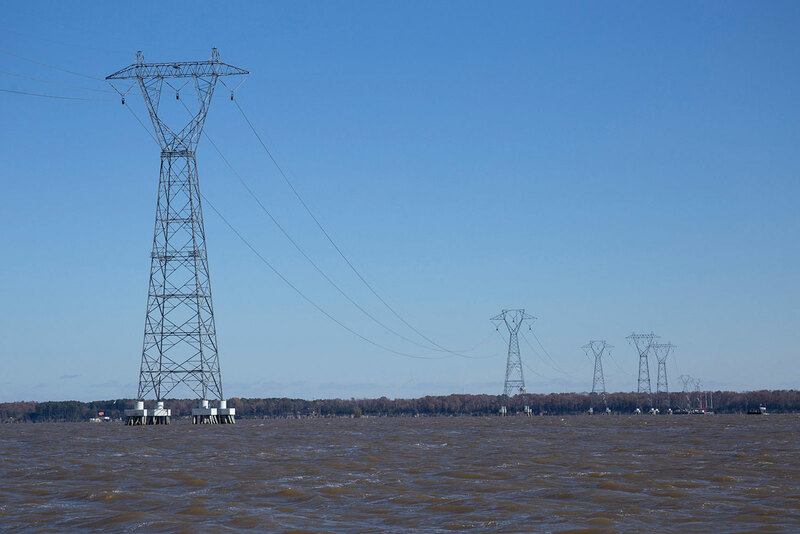 Dozens of experts considered numerous alternatives to bring clean power to the Peninsula—electrical engineers, environmental specialists, the Virginia State Corporation Commission and the Virginia Supreme Court. They looked at solar, wind, and natural gas options, underground gas lines, and even retooling the aging coal units at Yorktown Power Station. The facts consistently proved these options wouldn’t work. Some were too tough on the environment or cultural sites. Others were unable to deliver enough power. Still others would cost too much and take too long to build. 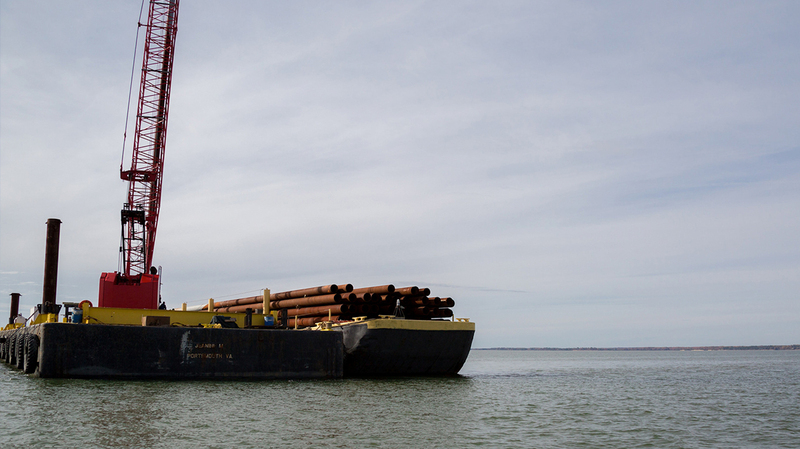 Experts agree that the Surry-Skiffes Creek transmission line is the best option to power the Peninsula, with the least environmental impact and lowest costs to customers. 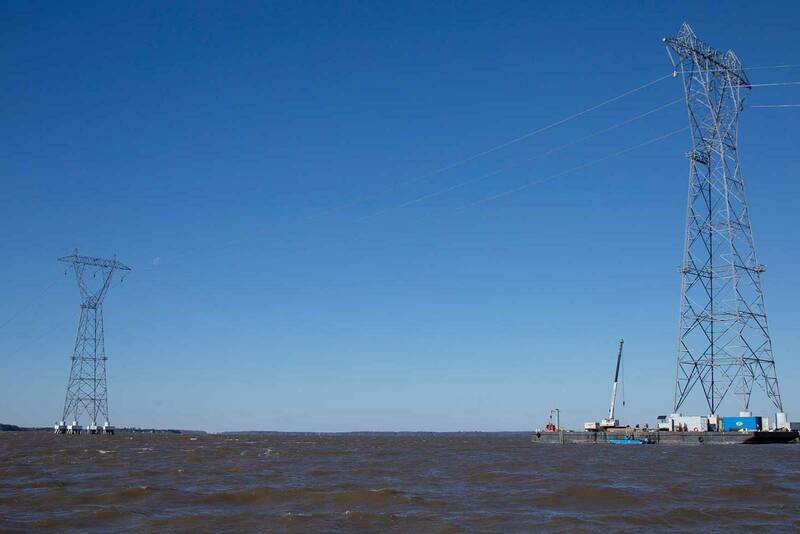 Get project updates and learn more about the benefits of the Surry-Skiffes Creek Transmission Line. 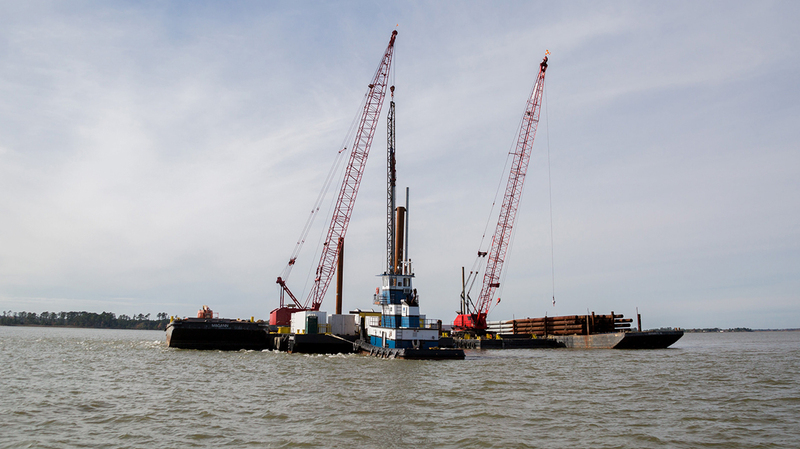 A close-up picture of cranes driving pile foundations in the deep-water channels of the James River. Five of the 17 towers proposed crossing the river are located in water depths greater than 20 feet. 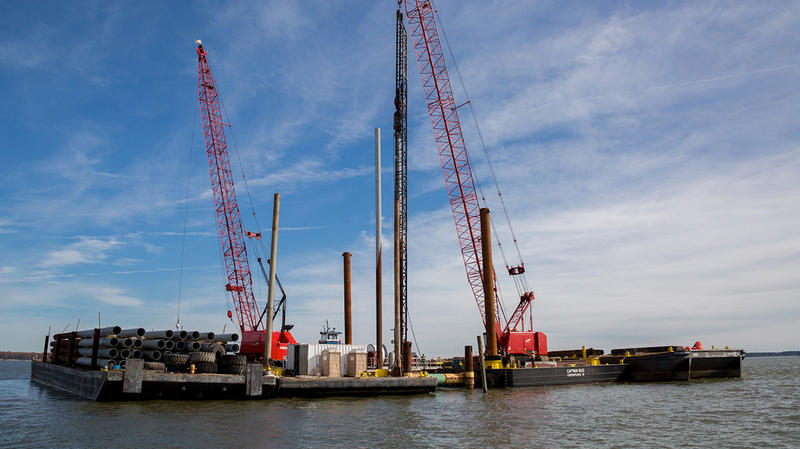 Cranes driving pile foundations in the deep-water channels of the James River. Deep-water construction can only take place between November 16, 2017 and February 14, 2018 per a time-of-use permit to protect native Atlantic Sturgeon. Divers installing fiberglass jackets on foundation piles. 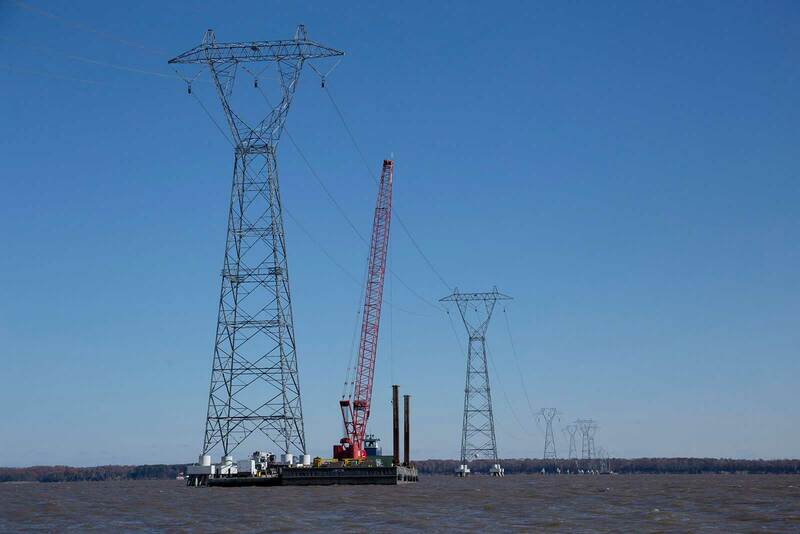 A total of 17 structures will carry conductor over the James River. The new line will be energized in Spring 2019. Crane supporting line crews as conductor is clipped into place.